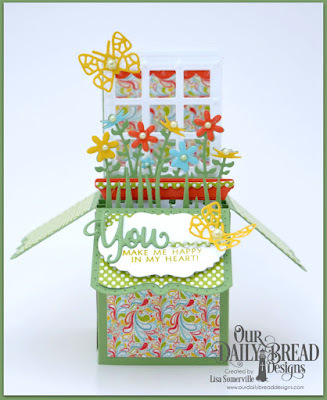 I love how quick and easy it is to create 3D Box cards using Our Daily Bread Designs Surprise Box Die. I used some of the coordinating Surprise Box die sets along with a few older dies to embellish my Surprise Box, along with the Birthday Bash and Birthday Brights Paper Collections. if you are looking for more inspiration using the Surprise Box die, stop by the ODBD Blog! So sweet! Such a great design!